Set yourself free of wires with AuraBoom. No more fumbling with charging cables late at night or knocking things off your bedside table. AuraBoom features a Qi standard wireless charger to effortlessly recharge your phone simply by placing your phone on the induction charging surface. 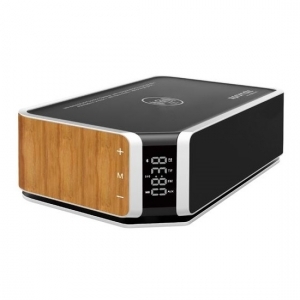 The multi-function LED alarm clock has incredibly robust sound from the dual 10-Watt speaker. 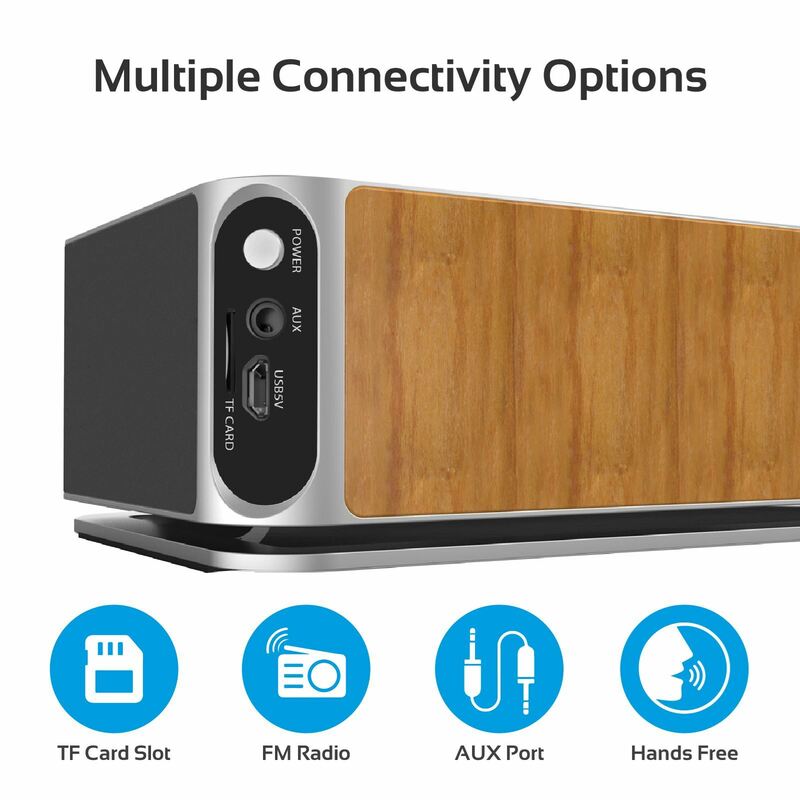 Connect your phone via Bluetooth to stream your favorite music or plug in a music player using the auxiliary line-in. • Set up to alarms with the AuraBoom, so if you're a late sleeper or you struggle to get up in the mornings, this alarm clock is perfect for you. Of course, if you've accidentally woken up early at the weekend, you can hit the blissful snooze button and get back to sleep. 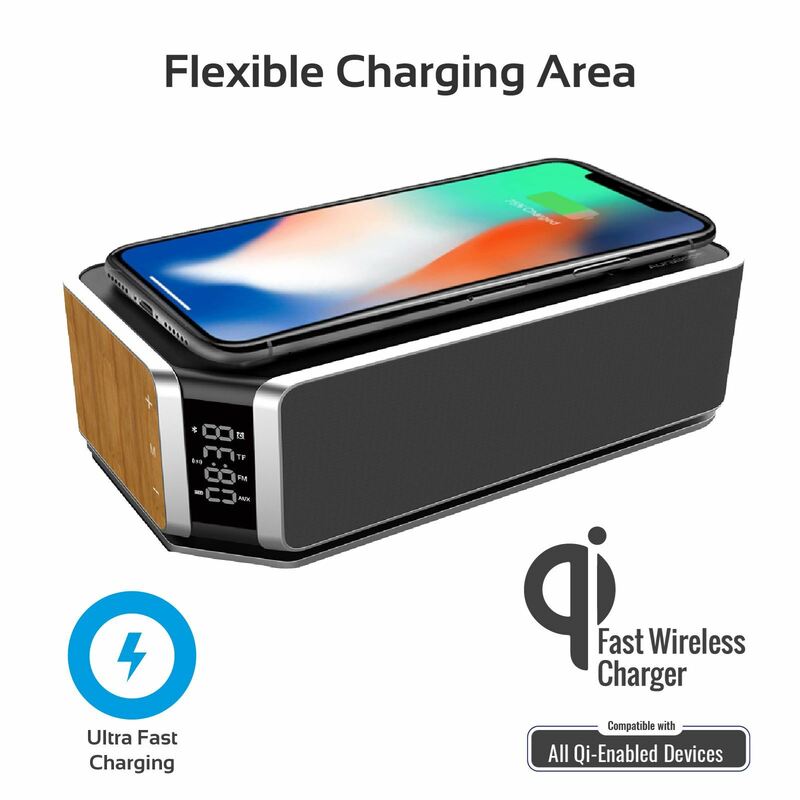 • Wireless charging Compatible with all Qi standard wireless charging devices. It will work even at short distances of up to 4-6mm. 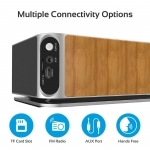 • Compatible with all Qi compatible devices.